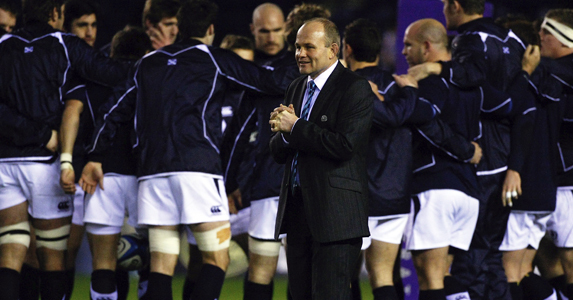 Scotland head coach Andy Robinson has today challenged his team to demonstrate they can build on their progress in 2010 when they open their RBS 6 Nations Championship campaign against France in Paris on Saturday. Robinson has made three changes in personnel and two further positional switches from the team that started Scotland’s last match – the success against Samoa in Aberdeen in November – which marked Scotland’s fifth victory in six Test matches. Nick De Luca returns to win his 20th cap in place of the injured Graeme Morrison at inside centre, Max Evans is preferred to Sean Lamont on the wing and the rejuvenated Glasgow Warriors lock Alastair Kellock resumes as Scotland captain alongside his clubmate, Richie Gray. The positional switches see Nathan Hines operate at blindside flanker, the berth in which he started Scotland’s victory against world champions South Africa back in November, with Kelly Brown moving to No 8, a role he has enjoyed at club level. Two of the Scotland XV, Gray and Joe Ansbro, will be making their first Championship start, while Nikki Walker makes his first appearance in the competition for three years.